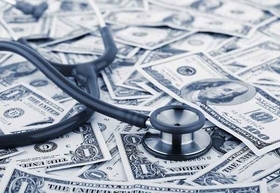 Healthcare costs in five states differ because of variation in how services are used and the price of those services, according to a new report. The findings, published Tuesday by the Network for Regional Healthcare Improvement, highlight how solutions to lower healthcare spending will not be one-size-fits-all but will likely need to vary by state. "There is significant variation in cost drivers, which calls for different strategies based on individual market characteristics," said Elizabeth Mitchell, CEO of the Network for Regional Healthcare Improvement, which conducted the analysis. The organization represents various healthcare stakeholders across the U.S. and aims to improve healthcare delivery. The report focuses on Colorado, Maryland, Minnesota, Oregon and Utah. The five states were highlighted because healthcare stakeholders in those states were willing to develop and provide the data needed for the analysis, which relied on commercial claims in 2015, Mitchell said. To get the results, the Network for Regional Healthcare Improvement took the average total cost of healthcare across the five states and then compared that data. Utah's total cost of healthcare was 4% below the average while Maryland was 16% below the average and Oregon was equal to the average. Colorado and Minnesota had higher than average healthcare costs with Colorado costs 17% above the average and Minnesota 7% above the average. The network then worked with various healthcare groups in those states to determine why they saw those healthcare costs. For Maryland, the state's unique all-payer hospital-rate regulation system likely contributed to its lower than average healthcare costs, especially because the state agreed to limit Medicare per-capita hospital growth at a lower rate than the national average, the report said. In fact, Maryland patients paid prices 13% lower than the average benchmark. In Colorado, use of outpatient services was the biggest driver for its higher-than-average healthcare costs. Outpatient resource use in Colorado was 25% above the benchmark, the analysis said. Minnesota residents had more appointments with physicians than the other states, and it reported 10% higher prices for those appointments than the benchmark. Oregon's healthcare costs were equal to average because its high prices were offset by lower use of healthcare services by its residents. Meredith Tomasi, senior director of the Oregon Health Care Quality Corp., said the state's residents are culturally more conservative with their resources. "Oregonians are very efficient with resources. This is ingrained in the environment," she said in the report. Utah's lower-than-average healthcare costs were likely driven by 14% lower prices for hospital services compared to the benchmark even though Utah residents use inpatient services 16% more than their peers. Given each state's unique circumstances contributing to its healthcare costs, Mitchell said solutions need to be specific by region with support from "all the actors in the system."